Photos: On acid coastal rock. Dunmanus Bay, Cork, SW Ireland. 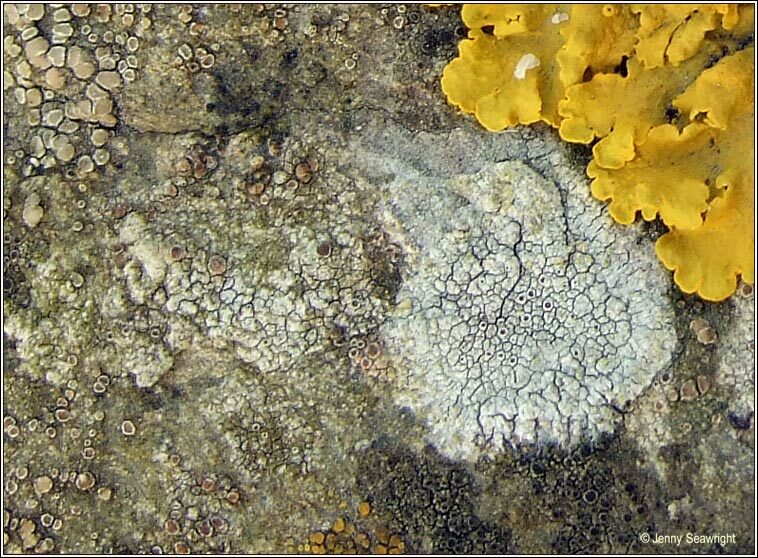 Greenish-grey, warted or smooth thallus with white prothallus. Apothecia with wide thalline margin, black convex discs. Thecium dark greenish. 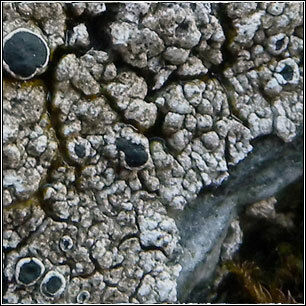 Scratching the discs or thallus reveals orange anthraquinones. K+ yellow, P+ orange, UV- or pale orange. 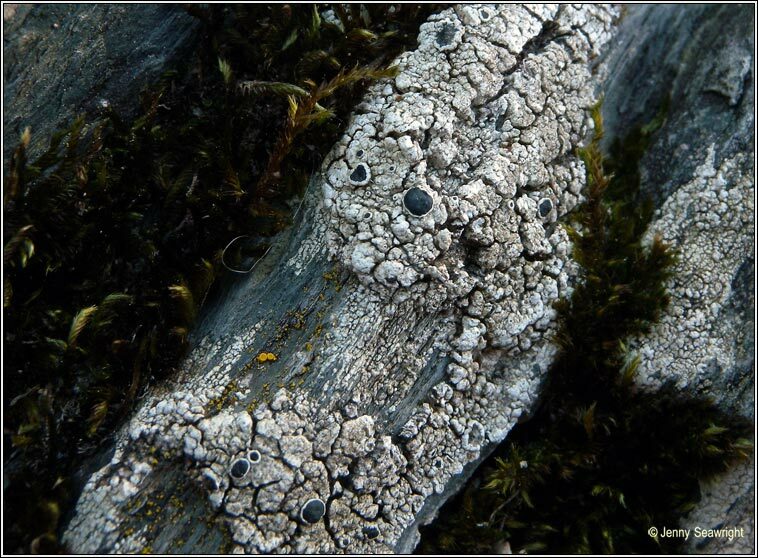 The apothecia are greenish-brown in section. Distribution is mainly coastal, on acidic rocks.